This post was written for inclusion in the monthly Authentic Parenting Blog Carnival hosted by Authentic Parenting and Living Peacefully with Children. This month our participants have written about authenticity through character, emotions, and establishing authentic communication with their children. We hope you enjoy this month’s posts and consider joining us next month when we share about Honesty. I once had a parent tell me that the reason she didn’t like consensual living was because she felt that thinking about your response in a situation rather than saying the first thing that popped into your head was “fake parenting.” In her view, contemplating the situation and one’s words was unnatural. It’s a popular belief in our society. Most anywhere you can go where there are parents and children, you’ll hear parents saying catch phrases to their children, threatening kids, or jumping to conclusions about their children’s motives. While these actions may be automatic for them, these are all examples of reactions rather than authentic interactions. We’ve all had experiences during our lifetimes, and those experiences shape our lives. It’s an inevitable fact of life. However, the extent to which those events shape our lives is up to us. Reacting relies not on conscious thought but on unconscious scripts. If you have ever heard yourself say a phrase which reminded you of your mother or father, you know exactly of what I am speaking. In order to authentically communicate with our children, we need to be willing to push past those automatic responses. When we react, we allow outside influences to control ourselves. When we react to others, we shut down further explorations of the situation, open communication, and mutual understanding. It is only when we open ourselves to examining our beliefs, words, and interactions that we find ourselves pushing past the hurt and anger of reactionary living in order to live authentically. It is through thoughtful interactions that we allow ourselves to live fully in the moment, to grow as individuals, and to open ourselves to honest relationships with others. 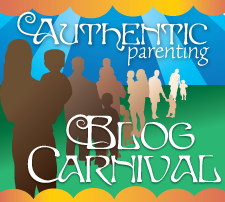 Visit Living Peacefully with Children and Authentic Parenting to find out how you can participate in next month’s Authentic Parenting Blog Carnival! Remaining True To Yourself While Parenting – Authentic Parenting compares Western Child centered parenting with African parenting and discovers some ways to maintain your authenticity. Honoring My Forgiving Heart — Destany at They Are All of Me writes about how honoring her forgiving nature allows her to break down emotional barriers and allow her to more fully connect with her children. Authenticity — Sustainable Mum shares how her values have been shaped through life and are now the basis of how she parents her own children. Authenticity through Consensual Living — Mandy at Living Peacefully with Children challenges parents to push past socially learned reactions in order to foster authentic interactions with their children. Authenticity Through Emotions — Jennifer at Hybrid Rasta Mama shares her belief that being a truly authentic parent means allowing and supporting both her daughter’s emotions and her expression of them but also her (Jennifer’s) own emotions. 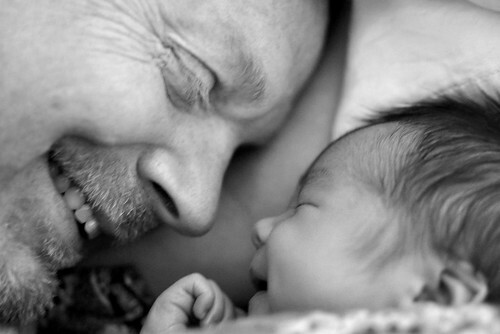 Authentic Grief — Erica at ChildOrganics talks about not shielding our children from the topic of death and dying. She shares how being open and honest on the topic can help our children grow to be healthy well-adjusted adults. Authentic Teaching, Authentic Learners — At Surviving Mexico, Survivor shares how learning how to be an authentic teacher was something she discovered rather than learned. This is so thought provoking. I know I’m capable of angry outbursts, extraordinarily strong ones – this is nothing learned, but it IS repressed feelings that surface when my buttons are pushed. I find your words very powerful and I’ve needed to re-read several times because I can see both sides of this discussion: I understand that responding rather than reacting is much better for all, but I DO find that for me, personally, being able to express my anger in the moment feels very authentic – the most authentic I’ve ever felt. (As a child I wasn’t allow to feel or express anger). Hmmmm, lots to think about for sure; that’s what I love about these carnivals – such food for thought and opportunities to re-look at the things we do in our own lives to see if they still serve us. Thanks so much! Taking a second to think about our actions and words doesn’t mean we repress anger. It means we take the time to appropriately express it rather than reacting. I will say, though, that when I am authentic in how I communicate, I don’t become angry. Anger is a secondary emotion. When we don’t address the primary emotion, it can develop in to anger. Oh Mandy, this is so beautiful! You said it perfectly. We walk around in armor, don’t we? We have to find a way to peal the armor off and expose our true hearts to the ones we love in order to have full connectivity. I used to explode frequently due to repressed emotions and it has taken so much work to really dig down deep and heal those hurts in order find my deepest self and share that with my children. Thanks for this! I really like this post. I have found myself saying things that my parents said to me then shuddering afterwards. I know my anger outbursts are reactionary and I am really trying to work on them. This is a lovely post, that I will be re-reading. Thank you! I agree completely. The action vs. reaction idea has come up so many times in my life as an adult and as a child. I always feel better about acting, often feel remorse about reacting, and am usually aware of the difference and glad to be aware of it. Short, sweet, and right to the point! I have a lot of friends who do not understand why I bother to take the time to respond to my daughter after giving pause for thought as opposed to immediately reacting to her behavior. Reaction and immediate action does nothing to help her understand the WHY. If I feel that there is something that needs to be addressed, I want to make sure that I am ready to engage and interact and not just fall prey to the norm of reacting. When I react, it truly only makes things worse! It is a process to learn how to express oneself clearly, not just say what one is feeling at the moment. It is an even more complicated process to teach to your children. I think our children learning this is nearly as complicated as our re-programing ourselves so that we don’t teach the otherwise. This post really resonates with me. I know that sometimes I don’t pause before speaking and collect my thoughts and words. I am trying to remember to think is it kind, is it true, is it necessary?